If money is no constraint then Apple, Huawei, Samsung and Oppo among others offer the best premium smartphones you can buy right now. Whether you’re buying a budget smartphone or a premium flagship, it is hard to discern which one is right for you. We helped you understand the best smartphone in the sub-Rs 10,000, sub-Rs 20,000 and sub-Rs 40,000 price segment before and now, let’s look at the best money could buy in the highest end of price of segment. Samsung Galaxy S10e is the best compact smartphone in the market right now, one that beats the iPhone XR in terms of price and Pixel 3 in terms of hardware specifications. The Galaxy S10e sports a 5.8-inch Infinity-O Super AMOLED display and is powered by Exynos 9820 SoC in India. It comes with 6GB of RAM and 128GB internal storage. There is dual rear camera setup with 12-megapixel wide angle lens and 16-megapixel ultrawide angle lens. It runs Samsung’s OneUI based on Android Pie and is backed by a 3,100mAh battery. The Galaxy S10e is available in prism black and prism white color options and is priced at Rs 55,900. Apple announced a temporary price cut on iPhone XR yesterday, which made it one of the best phones to buy in the sub-Rs 60,000 price segment. After the price cut, the iPhone XR starts at Rs 59,900 and HDFC Bank customers get additional discount bringing the price down to Rs 53,900. The iPhone XR features a 6.1-inch LCD display and is powered by Apple’s A12 Bionic chipset. It comes in 64GB or 128GB or 256GB storage options, features a single 12-megapixel rear camera and a 7-megapixel selfie camera. The iPhone XR runs iOS 12 and in our own test, we have observed that the battery life is as good as that of the iPhone 8 Plus before it. 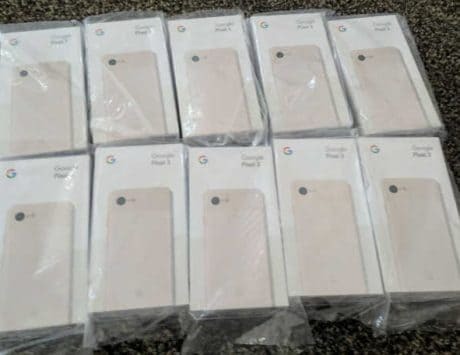 Before the launch of Galaxy S10e, the Google Pixel 3 was the best compact smartphone but it has now conceded that crown. The Pixel 3 and Pixel 3 XL are still great options for those looking to buy a flagship smartphone with stock Android and excellent camera. The Pixel 3 features a 5.5-inch display while the Pixel 3 XL sports a larger 6.3-inch display with an obnoxious notch. Both the devices are powered by Qualcomm Snapdragon 845 mobile platform with 4GB RAM and 64GB or 128GB storage. They are equipped with a 12-megapixel rear camera with Night Sight support and dual 8-megapixel selfie shooters. The Pixel 3 and Pixel 3 XL run Android Pie and are already compatible with Android Q beta. The smaller Pixel 3 has a 2,915mAh battery pack and it starts at Rs 71,000. The Pixel 3 XL, on the other hand, has a 3,430mAh battery and it starts at Rs 83,000. 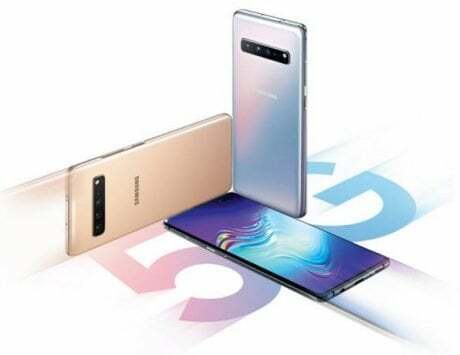 Samsung Galaxy S10 and Galaxy S10+ differ mainly in terms of display size, price, memory and battery capacity. The Galaxy S10 and Galaxy S10+ feature a 6.1-inch and 6.4-inch Infinity-O display but the Galaxy S10 has a single hole punch and starts at Rs 66,900 while the Galaxy S10+ has a pill-shaped cut out for dual front cameras and starts at Rs 73,900. Both the phones are powered by Exynos 9820 chipset with 8GB RAM and 128GB or 512GB storage. The Galaxy S10+ also comes with additional storage capacity of 12GB RAM and 1TB internal storage. 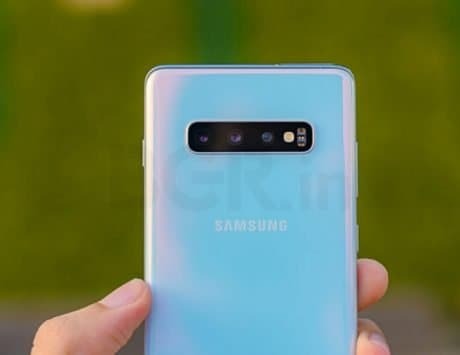 The Galaxy S10 and Galaxy S10+ feature triple rear camera setup with 12-megapixel main shooter with variable aperture, 12-megapixel telephoto camera with 2x optical zoom and a 16-megapixel ultrawide angle camera. At the front, the Galaxy S10 has a 10-megapixel shooter while the S10+ gets dual 10-megapixel + 8-megapixel cameras. Both the phones feature Qualcomm’s 3D Sonic sensor under the display and run One UI based on Android Pie. The Galaxy S10 offers 3,400mAh battery while the Galaxy S10+ packs a larger 4,100mAh battery. The Galaxy S10 and Galaxy S10+ offer latest hardware and software but the Galaxy Note 9 will continue to appeal to professional users. 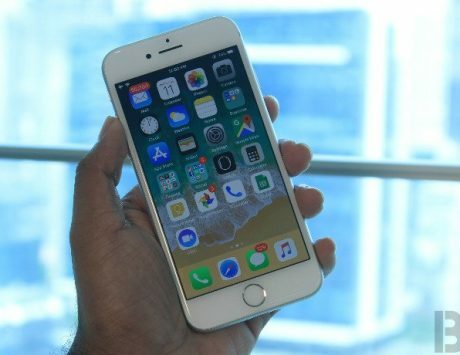 Apple iPhone XS and iPhone XS Max are the best iPhone models one can buy right now. The iPhone XS is the successor to iPhone X while the iPhone XS Max is aimed at those looking for a large display. 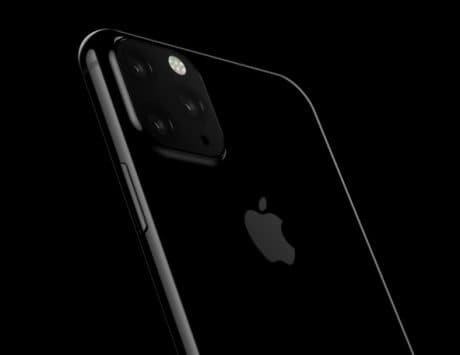 The iPhone XS and iPhone XS Max feature a 5.8-inch and 6.5-inch OLED display and are powered by A12 Bionic chipset. They come with 64GB or 256GB or 512GB storage options and run iOS 12. The iPhone XS and iPhone XS Max do not bring anything new to the table in terms of technology improvement but they are arguably the most powerful smartphone in the market. It features dual 12-megapixel rear camera and a 7-megapixel selfie camera. There is Face ID for biometric authentication and support for wireless charging. The iPhone XS starts at Rs 99,900 while the iPhone XS Max starts at Rs 1,09,900. Chinese smartphone maker Huawei is set to launch the P30 Pro flagship with 10x lossless zoom next week in India. Till the launch, the Mate 20 Pro will remain the best smartphone to buy from Huawei’s stable. The Mate 20 Pro features a 6.39-inch Quad HD+ AMOLED display, Kirin 980 SoC, 6GB RAM and 128GB storage. It features matrix-style triple rear camera setup with 40-megapixel main camera, 20-megapixel ultra wide angle camera and an 8-megapixel telephoto camera. For selfies, it relies on a 24-megapixel shooter which also supports facial recognition. The smartphone runs EMUI 9 based on Android Pie and is backed by a 4,200mAh battery with support for reverse wireless charging. The Mate 20 Pro is priced at Rs 64,990 and is available via Amazon India. LG V40 ThinQ is the most underrated flagship smartphone in the market right now. It was launched in India at Rs 49,990 and it is a strong competitor to OnePlus 6T. It features a 6.4-inch Quad HD+ OLED display, 6GB RAM, 128GB storage and Snapdragon 845 mobile platform. It features penta camera setup with three cameras on the back and two at the front. It sports a combination of 16-megapixel + 12-megapixel + 12-megapixel triple rear cameras and an 8-megapixel + 5-megapixel dual front camera. It is backed by a 3,300mAh battery but runs Android 8.1 Oreo. If there is one innovative device in this segment then it has to be the Oppo Find X. With Find X, Oppo is registered itself as the leader in innovation and smartphone design. The Find X features a 25-megapixel motorized selfie camera setup which also includes sensors for 3D facial recognition. At the back, there is dual rear camera with 16-megapixel and 20-megapixel setup. The Find X features a 6.4-inch display, 8GB RAM, 256GB storage and is backed by a Snapdragon 845 mobile platform. It lacks fingerprint sensor and comes in Bordeaux Red color. The smartphone runs ColorOS and is backed by a 3,730mAh battery and is priced at Rs 59,990.